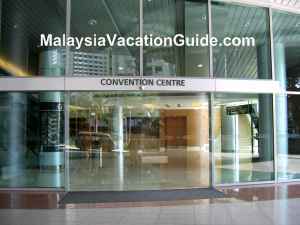 KL Convention Centre is the latest and state of the art exhibition, shows, meetings and convention venue for many big events in the capital city of Kuala Lumpur. If you are in Kuala Lumpur, there are many interesting events such as PIKOM PC Fair, Gold and Jewellery Fair, HomeDec, ITEX, ARCHIDEX and Food & Hotel exhibition that you can attend. These exhibition usually feature the latest attractions or gadgets in the market and will help to enhance your knowledge of the current development in the field being exhibited. 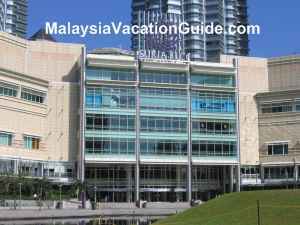 This convention centre is located beside Suria KLCC, the main shopping centre. 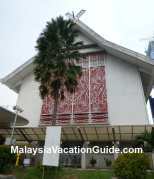 If you are not sure, go to where Petronas Twin Towers is and you will be able to arrive here in no time. If you are taking LRT, take the Kelana Jaya Line LRT and alight at KLCC Station. If you prefer to take the bus, take the free GO KL City Bus Service. If you are driving, you can park at Suria KLCC but take note that during working days, the car park can be packed hence it will be a better idea to take public transport. The parking fee is RM4 for the first 3 hours and RM3 for the subsequent hour. You can also park at Avenue K, Menara HLA or Suria KLCC. 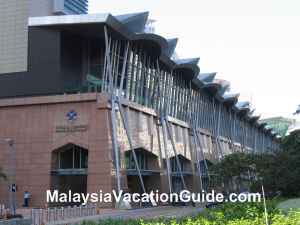 The Modern KL Convention Centre. One of the popular events held in KL Convention Centre is PIKOM PC Fair. This is the time when you can purchase computers, laptops, cameras and other IT peripherals at a good price. There are many IT companies that will be here. See the listing of the major events to be held here. The interior view of the KL Convention centre. Your shopping experience at Suria KLCC, located just beside KL Convention Centre. 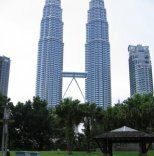 Suria KLCC is the place for shopping and meals whileyou are here for the exhibition or meeting. Aquaria KLCC has exhibits of many aquatic andland animals from around the globe. Galeri Petronas exhibits the modern and contemporary arts of Malaysia. 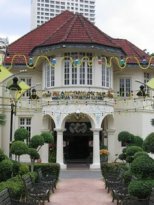 Petrosains has many science exhibits to enhance your knowledge of science.